2019-2020 Seasons Announced for Playhouse Square, Orpheum Theater, and more, Benjamin Harding in URINETOWN at Chamblee Charter High School, and more! 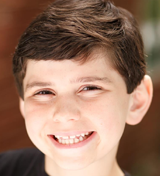 Alum Benjamin Harding (Elf) is appearing in Urinetown at Chamblee Charter High School next weekend in Georgia! Get tickets HERE! 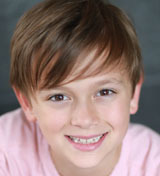 Eamonn Hubert (School of Rock) is featured on Fox 40! Check out the feature HERE! Charlie and the Chocolate Factory will perform in Worcester, Massachussetts, as a part of Hanover Theatre’s 2019-2020 season! Get more info HERE! The Omaha Performing Arts Center has announced their 2019-2020 season, which includes The Lion King and Dear Evan Hansen! Get more info HERE! Playhouse Square in Cleveland has announced its 2019-2020 season, which includes Anastasia and Frozen! Get more info below! The Orpheum Theatre in Memphis has announced its 2019-2020 season, which includes Dear Evan Hansen and Charlie and the Chocolate Factory! Get more info below! And check out these pictures and video from the kids of Les Miserables, The Sound of Music, The King and I, Dear Evan Hansen, Anastasia, School of Rock, and On Your Feet! 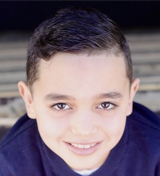 Theo Mitchell-Penner Leaves SCHOOL OF ROCK, Azra Kearns Films Commercial, and more! 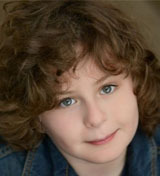 Happy Trails to Theo Mitchell-Penner (School of Rock)! We can’t wait to see what you do next! 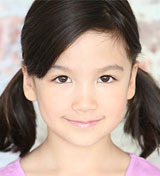 Congrats to understudy Isabella Rose Sky (School of Rock), who made her Marcy debut earlier this week! Check out a picture of her in costume below! Alum Azra Kearns (Waitress Tempe) has filmed her first commercial! Check out pictures and videos on set below, and stay tuned for more details. And check out these pictures and videos from the kids of The King and I, School oF Rock, The Sound of Music, A Bronx Tale, Les Miserables, Anastasia, Finding Neverland, Miss Saigon, The Lion King, Charlie and the Chocolate Factory, and Dear Evan Hansen! 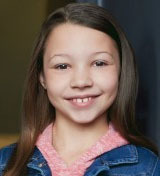 Jenna Seasholtz Highlighted in The Morning Call, Pictures and Videos from ANASTASIA, THE KING AND I, and more! 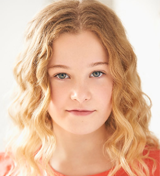 Jenna Seasholtz (The Sound of Music) is highlighted in The Morning Call! And here are pictures and videos from the kids of Anastasia, The King and I, Les Miserables, School of Rock, Miss Saigon, The Sound of Music, and A Bronx Tale!